Since Napoleon invaded Egypt with an army of soldiers and scholars in 1798, images of Egyptian landscapes and monuments have circulated as fantasy and reality in the West. Soon after the Western encounter with Egypt, physical parts of the same landscape were brought to London, Paris, Turin, Berlin, and New York. Scientific exploration, artistic imagination, colonial geopolitics and daunting engineering invented and fragmented Egypt for modern sensibilities. Images of Egypt presents an ancient landscape in radical transformation across media, including supersized engravings, panoramas, porcelain, opera designs, paintings, photography and postcards, furniture and fashion, filmsets, exhibitions and facsimiles. 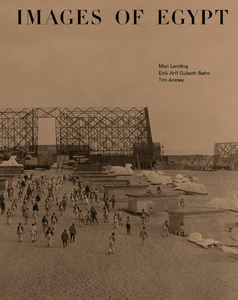 With contributions by world-leading architectural historians and students from the Oslo School of Architecture and Design. "For å si det rett ut: Lider du av egyptomani, blir du ikke kurert av denne boka, men den gjør lidelsen langt lettere å leve med."